What makes a set of instructions good? 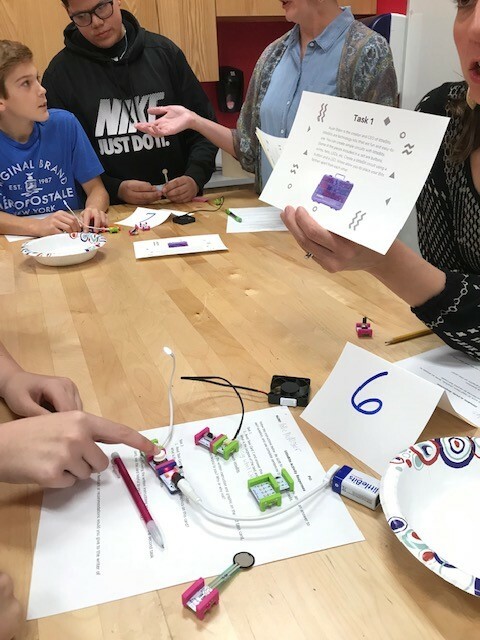 Midway Middle School seventh and eighth grade students explored that question through the use of littleBits©. 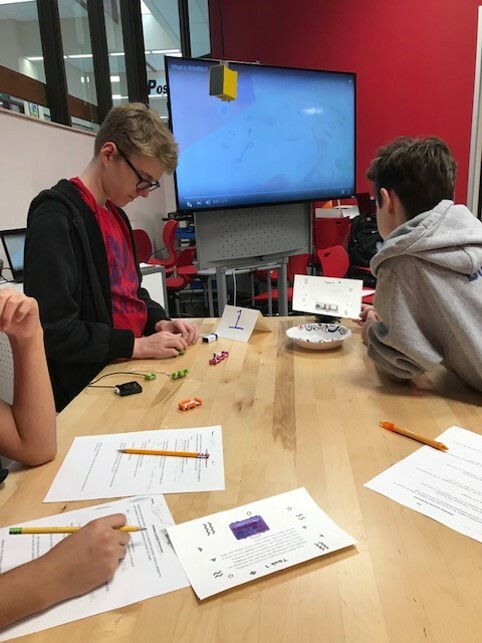 littleBits© are electronic modules which connect with magnets to create circuits. There are over 60 different types of “Bits” available to create whatever a student can imagine (https://littlebits.com/). 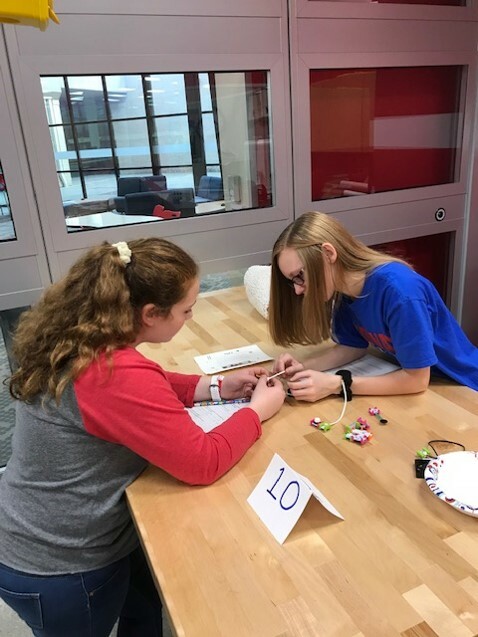 The seventh graders were given written directions and instructed to follow the directions to create various littleBits© circuits. They used these directions as models for their own procedural texts they wrote in class the following week. In the eighth grade classes, students used two different procedural text task cards to create circuits and then compared and contrasted how well the cards were written. Students discussed the traits of effective communication and how to improve poor communication.